Anything’s PAWSable offers 3 different programs designed to promote dog safety and dog bite prevention. They are under the headings of Family Paws and Doggone Safe Bite Prevention. Debi, of Anything’s PAWSable, is a certified presenter for Family Paws Parent Education program. Through our two International programs, Dogs & Storks® and the Dogs & Toddlers™, we support new parents with dogs and nurture safe and harmonious relationships among all family members, human and canine. 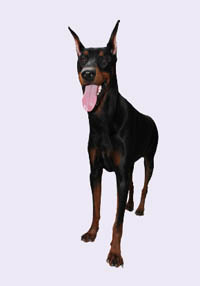 The Dogs & Storks® program was created by a certified dog behavior consultant and mother of four. Dogs & Toddlers™ is an International program that helps families with dogs and toddler-age children create safety and harmony at home. 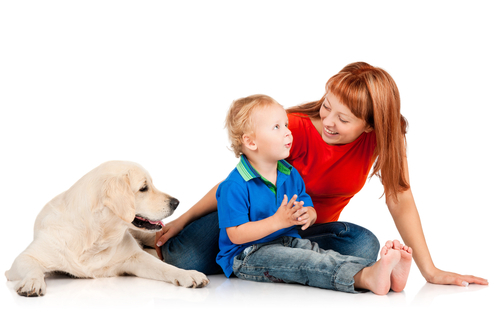 We offer positive, practical, and fun solutions to challenges that often arise in families with dogs during your child’s early development years. 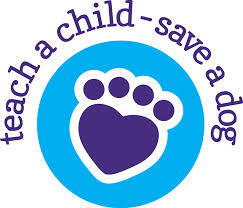 Dogs & Toddlers™ program was created by a certified dog behavior consultant and mother of four. Doggone Safe is a non-profit organization dedicated to dog bite prevention through education and dog bite victim support. Doggone Safe’s mission is to promote education initiatives for the purpose of dog bite prevention and increased child safety around dogs and to provide support for dog bite victims. These educational goals originate from the recommendations of coroner’s jury inquest into the tragic mauling death of 8 year old Courtney Trempe in 1998. 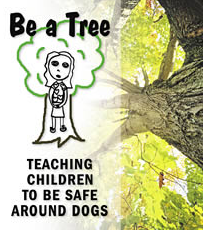 The Be a Tree program is a dog bite prevention seminar program for school age children. This program focuses on fun and interactive activities to teach children how to read dog body language and how to act safely around their own dog and strange dogs. Doggone Safe discourages presenters from bringing live dogs into the classroom. This will also be offered periodically at Anything’s PAWSable’s facility as a 1 1/2-2 hr session for small or large groups. The presenter uses large format photos to teach the children about how to read dog body language and how to act safely around dogs. They learn how to use the tools they have in their head to keep themselves safe. During the session they get to practice how to “be a tree” several times. The D O G G O N E smart at work program is an occupational dog bite prevention and dog safety seminar for service providers and workers who may encounter dogs on the job. The purpose of this program is to provide workers with the tools they need to prevent dog bites on the job. This program focuses on prevention and not on defense. It is not possible nor advisable to teach people to fight a dog off or to use defensive weapons such as mace or other devices. These do not work and are likely to provoke an adverse reaction from the dog. The Doggone Smart at Work program teaches people to read dog body language, assess the risks of a situation in a logical manner and to act appropriately to prevent interactions with dogs on the job. We provide education not entertainment (although the program is fun and engaging, with lots of video and an interactive risk assessment segment). When you choose the Be Doggone Smart at Work program you are not getting advice from just one person. You are getting the collective wisdom and experience of the Doggone Smart at Work experienced, trained presenters. Teresa Lewin is an internationally recognized leader in dog bite prevention through education.